Acorn 5.4+ includes a scripting interface for replacing editable text in your image. Combine this feature with pre-made templates and you can automate the making of templates, guest tags, or anything else that combines lists of text with images. See below for an example that starts with a simple template. Applescript drives the text replacement along with saving the images as PDF. 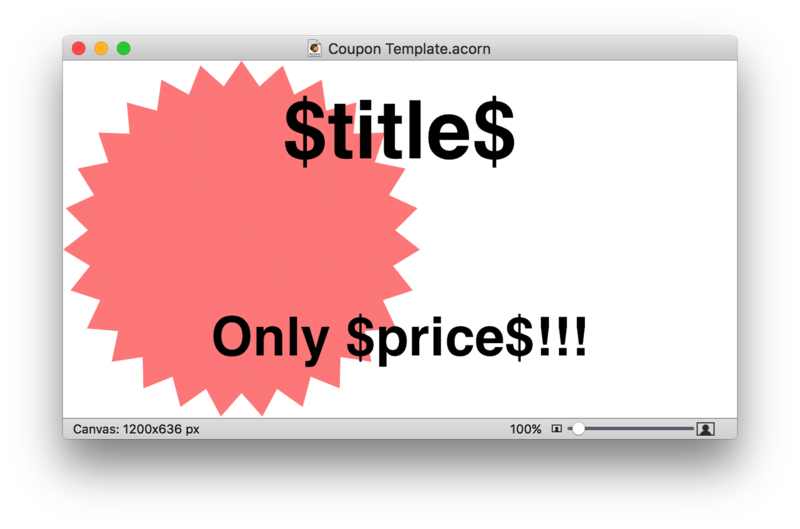 set doc to open "/Users/gus/Desktop/Coupon Template.acorn"
set fileName to title & ".pdf"